Drama is about doing and our drama classes in Belfast and Antrim ensure that the process of performing arts is paramount. 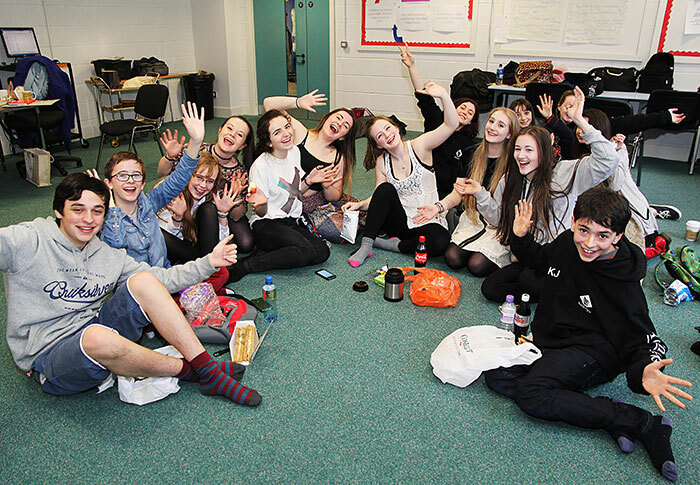 Typically our drama classes involve mime, improvisation, group activities and small performances within each group. These are non-competitive and students are not graded or awarded marks for any work they do. The Saturday classes at Stranmillis contain a mixture of dance-drama and improvisation/acting techniques. Antrim £70 first term including £5 annual insurance and £65 thereafter. Stranmillis £90 first term including £5 annual insurance and £85 thereafter. Strandtown £80 first term including £5 annual insurance then £75 thereafter. Each student pays for 12 x 1 hour classes. £5 insurance is also payable in the first term. We believe that this compares favourably with other group activities. Some financial scholarships are available for students in financial difficulty. Priority goes to families with more than one child attending Youth Lyric classes. A scholarship form is issued to every student at the start of each term. These are then posted to Mrs. Rachel Robinson and dealt with in the strictest confidence. No-one in Youth Lyric classes knows who is on a scholarship and we encourage individuals to apply for the small number of full scholarships and a greater number for half scholarships which are won throughout the year. There are no formal entry requirements for Youth Lyric. The most important thing is that students want to come and join us. Everyone is entitled to a taster session when they can decide wether participation in Youth Lyric is for them. Many students come to Youth Lyric classes with experience of school plays and work in professional productions. However, many of our pupils join Youth Lyric with no experience, just a healthy interest in the subject area. This is equally acceptable and valuable.